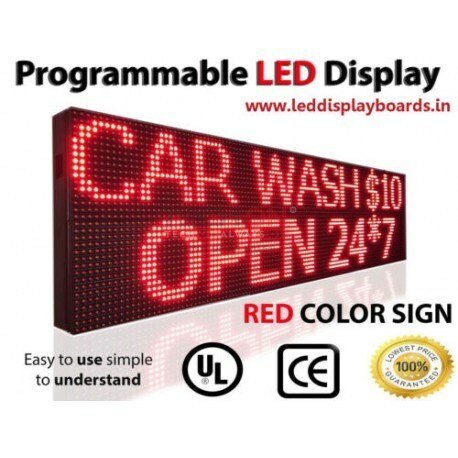 Our Programmable Scrolling LED Signs are very easy to program. It constantly displays graphics, images, time and your own messages with hundreds of special effects. Our 1/4 duty module provides a sign that is up to 30% brighter than 1/8th duty signs that you see other .